Matti Andersson, Anne Katrine Corfitz and Rodolfo "RODDE". Despite an extremely hot and dry summer this year, this year's Laxadag became one of the better. 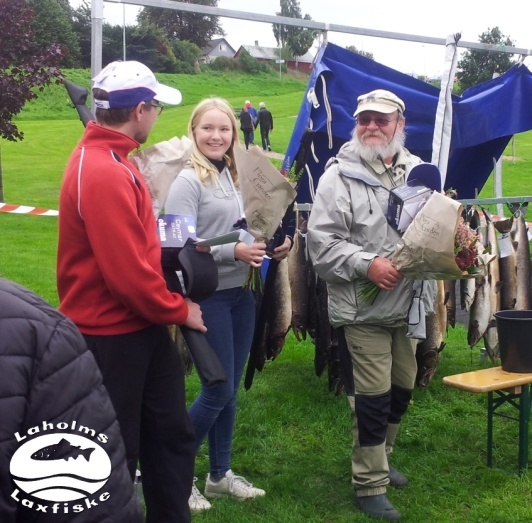 20 salmons were weighed in at Rökeriet yesterday. This year's winner is Rodolfo "RODDE". Congratulations!